We have two lives. The second begins when we realize we have only one. A near-death boating accident forced 31-year-old James Nowlin to take a long hard look in the mirror. 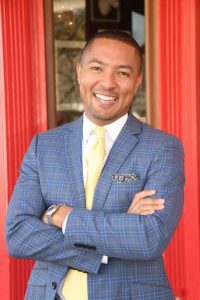 As a result of what he calls his “awakening,” this already self-made millionaire and respected CEO reshaped his perspective and reprioritized his life. In The Purposeful Millionaire, James shares the four-part formula he used to transform his life into one of abundance and purposefulness. He believes that if he can survive the literal waters from which he was pulled, you too can survive—and thrive—in life’s roughest waters. 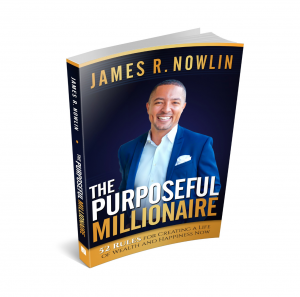 The Purposeful Millionaire will take you on a journey of self-mastery, guiding you to unlock your greater purpose; to achieve your highest success; and to live an epic, powerful, and abundant life. Your life is in your control! Check out James’ book on Amazon today! Visit jamesnowlin.com for more information.